There are many things that have to be stored in the bathroom: cosmetics, creams, hair care products and many others. To keep your bathroom tidy its best to store them out of sight, but that requires extensive storage space. 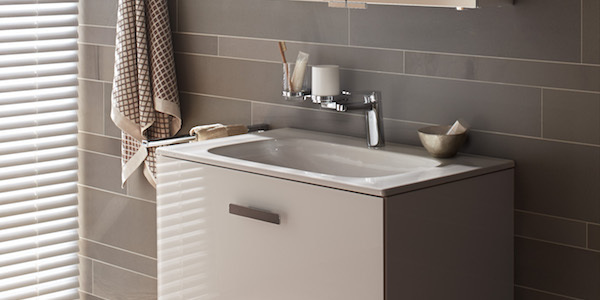 Finding that space can be a really challenging task, especially in small bathrooms. This guide will help you find your perfect, stylish bathroom cabinets to store all of your bathroom necessities. The main thing to consider when selecting bathroom cabinets is the size of your bathroom. There is a large selection of cabinets for both small and large bathrooms, but considering the space will allow you to chose the one that suits your bathroom the most. 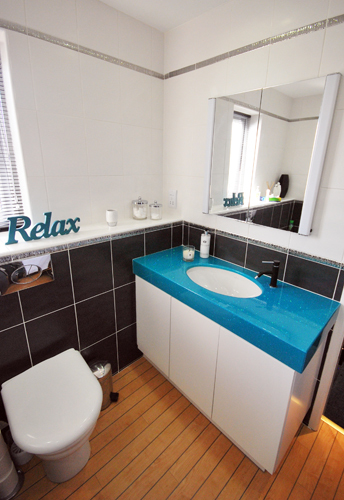 In small bathrooms space is very limited, therefore finding storage space might be a challenging task. 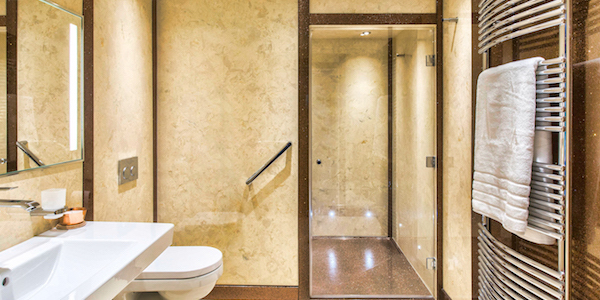 We have designed many small bathrooms in 50 years of our practise and found that understanding the room is crucial. Try to find spaces that are rarely used like under and over the sink area or around corners. 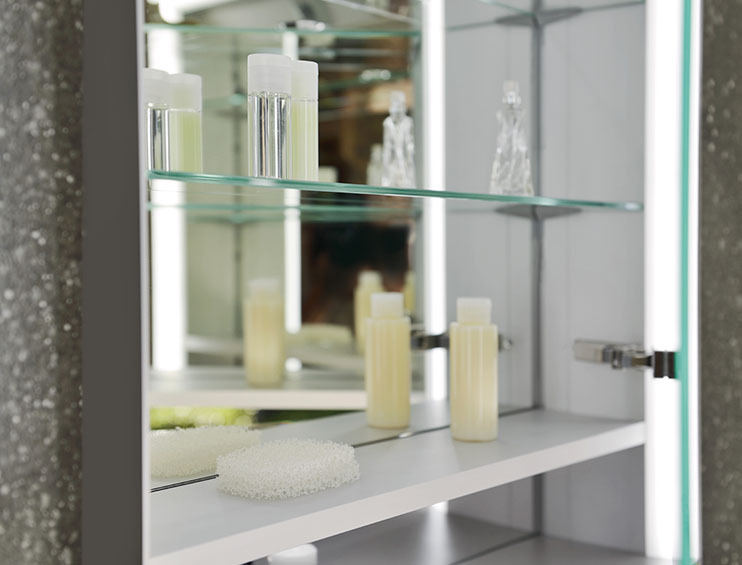 Use small mirrored cabinets from Keuco to replace the mirror and give yourself some storage space. 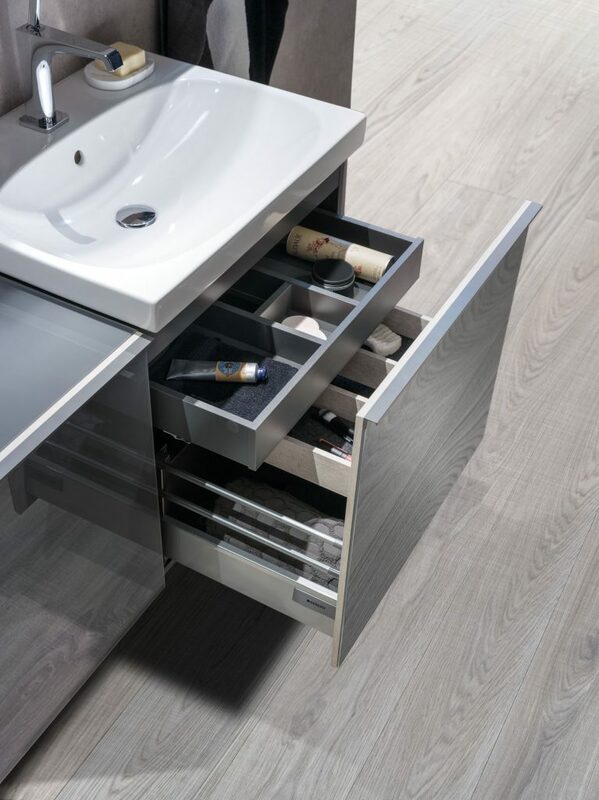 Alternatively, place a larger drawer unit from Geberit underneath your sink. Both will provide you with reasonable amount of storage space while not reducing your moving area. You can also choose to place a larger cabinet in the corner with a number of shelves. Such cabinets can be found online or if you have the precise measurements you can contact us and request it to be made for you. Our bespoke cabinets can be made with variety of different natural wood veneers allowing you for ease of design. Finding space in a large bathroom is not as cumbersome as in a smaller one. Arranging it so that it creates a positive impact can be challenging task. Think about using the storage cabinets to divide the space and create focal points in the room. Placing a cabinet under a large vanity top can provide you with a lot of storage space. 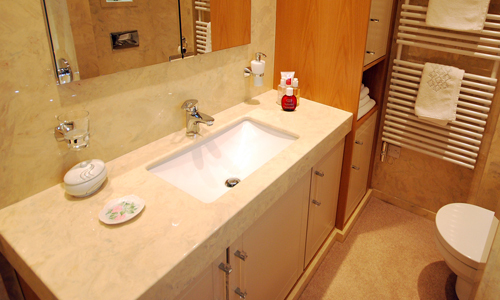 If you are looking to select a vanity top we recommend you read this bathroom vanity top guide. Your best choices of cabinets are either a Geberit which come in standard sizes, or a fully bespoke cabinet. At Langley’s we have a large selection of finishes that can suit all tastes. If you are looking for a oddly shaped cabinet, or want to make the best use of your space contact our team of experts or visit our bathroom showroom to discuss the possibilities. 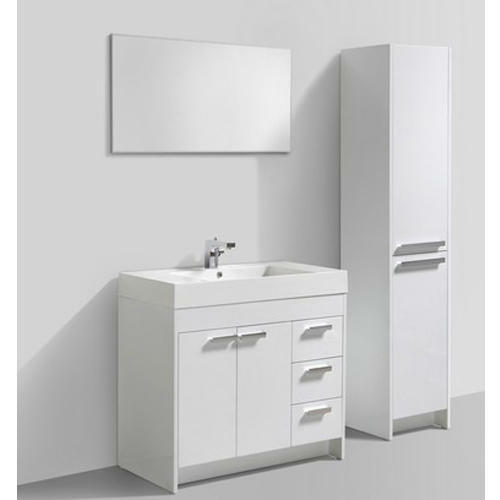 To add functionality to your bathroom you could consider placing a large Keuco cabinet to replace your mirror. 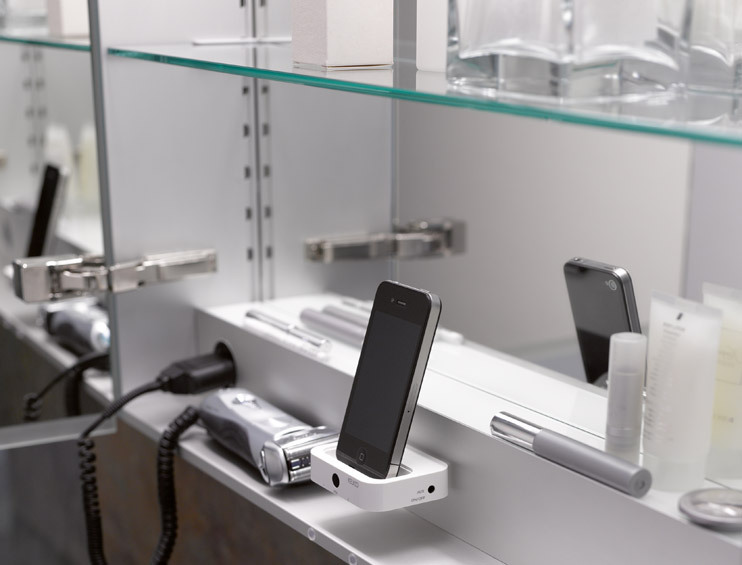 Keuco cabinets provide you with concealed charging points for hair dryers or charging toothbrushes as well as lights for putting on make-up. 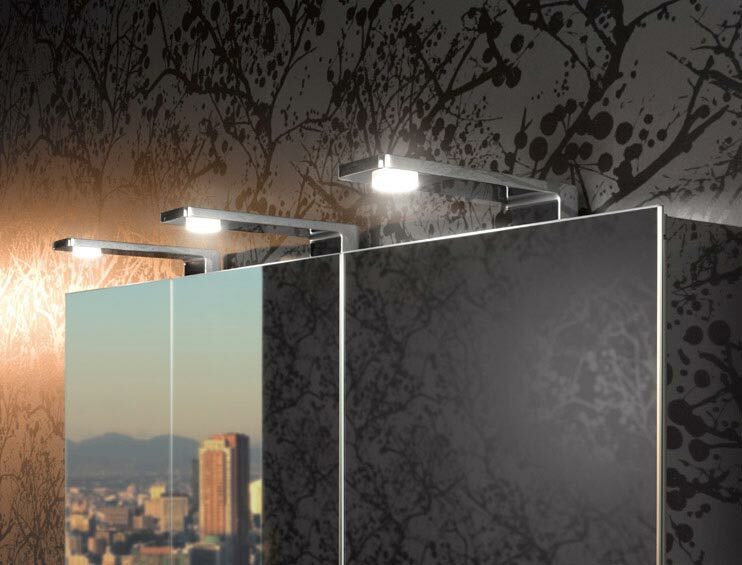 They are a very stylish choice that can add to your bathroom interior. If you live in a busy household you need to consider and plan the contents of your cabinet. Analyse what products would you like to find space for or store differently and try to plan with that in mind to achieve the most practical results. Medications and other health related products should be stored at a considerable height so the little ones cannot get to them. Keuco cabinets are perfect for that as their shallow shelves provide perfect storage for medications. They also have hidden advantages like power sockets and make-up mirrors designed to make your everyday routine a bliss. 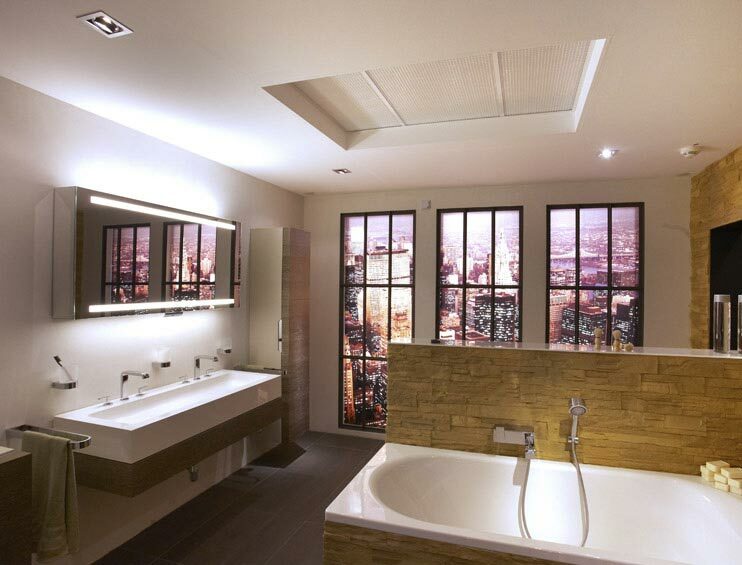 Visit our bathroom showroom to view Keuco cabinets on display or contact our experts to get advice over the phone. When storing towels, you have to prepare a reasonable amount of space as they can take up a lot of space. towels are also better off on shelves then in drawers for you to be able to see the whole range instead of just the top ones. Consider using a corner or wall-hung cabinet, with built in shelves besides towels they will also allow you to store other bathroom essentials. At Langley’s we can create cabinets of any size and style with a broad range of finishes to suit the style of your bathroom. Storing creams and hair products in drawers allows you to quickly see and access all of them. The perfect storage space for them are under-sink drawer units. 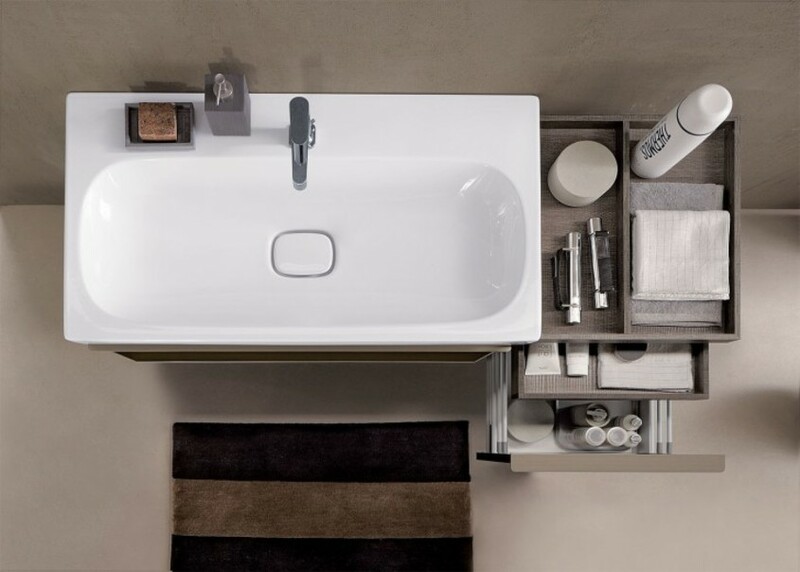 Go for quality ones that will serve you for years like the ones from Geberit, providing you with stylish and practical bathroom solution. If you are looking to introduce a larger cabinet you might consider ordering a bespoke one from Langley Interiors, as we can design and create it to precisely suit your needs. Cabinet and tap in the photo below can be found on display in our Bolton bathroom showroom. 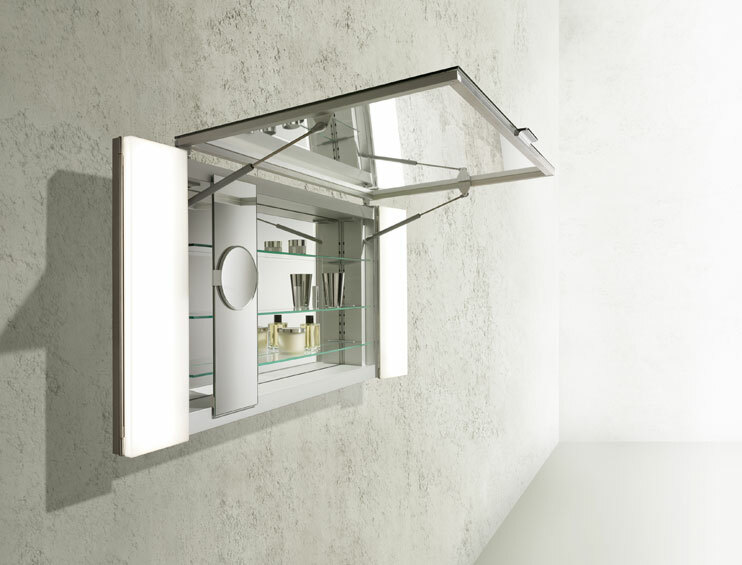 You can also use Keuco mirrored cabinets which provide perfect storage for all smaller items while their light-up mirrors add a great and practical feature. Visit our Bolton Bathroom showroom to see the models on our display or alternatively contact our knowledgeable experts to discuss your options. 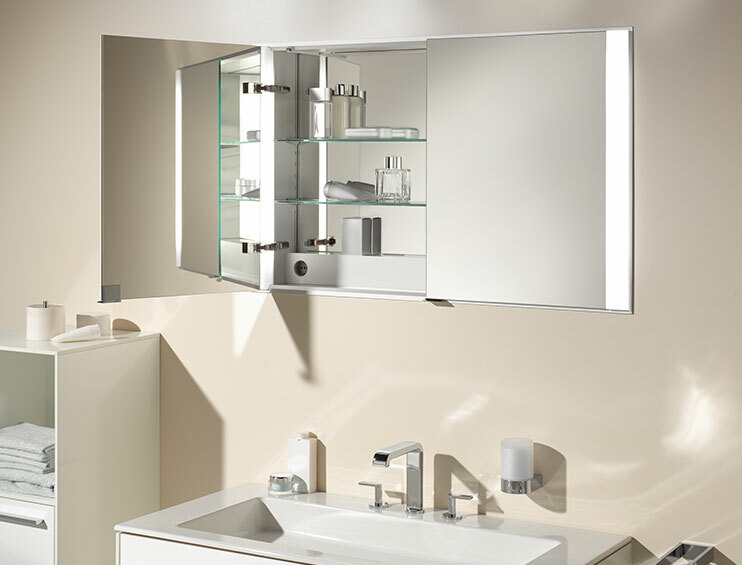 Bathroom cabinets have to not only be functional but also correspond with the style of your bathroom and your home. It is important to remember that all bathroom furniture will be exposed to extreme humidity and therefore choosing quality material is pivotal to its longevity. 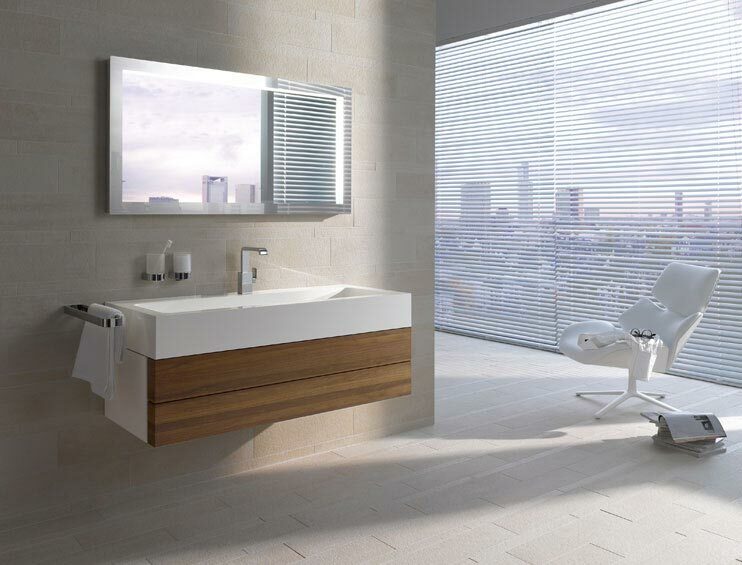 When selecting your bathroom furniture always think practicality and quality. 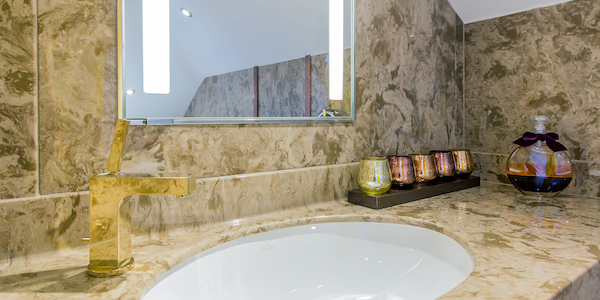 Modern bathrooms can be real show-stopping parts of a home. Choosing the right cabinets to suit such as style is crucial in order to complete the design. 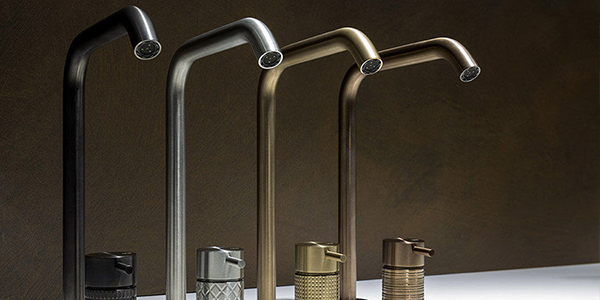 Recent interior design trends suggest that high gloss and metallic are the finishes most coveted for modern bathroom cabinets. 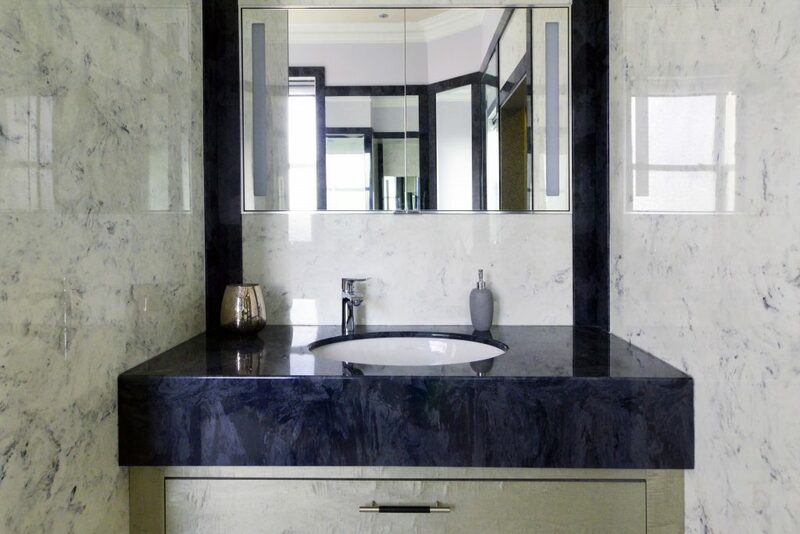 Langley Interiors creates bespoke bathroom cabinets in a range of finishes including satin and high gloss perfectly fitting the needs of modern customers. 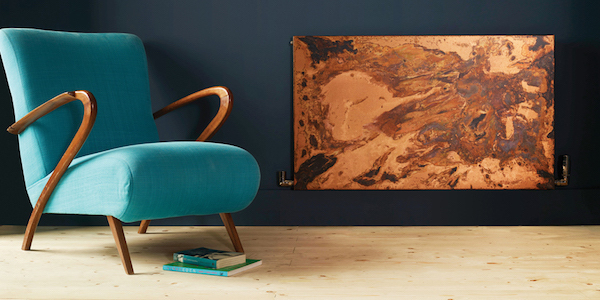 Each cabinet is fully bespoke so you can add all the necessary features to suit your needs. To add storage space in a modern décor bathroom, consider Keuco cabinets. They are a perfect solution as their highly polished aluminium carcass and mirrored fronts are not only beautiful but also highly functional. Keuco cabinets are a work of art, with every detail designed with you in mind. 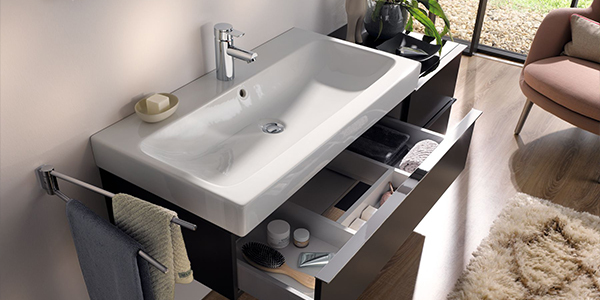 If you are looking for an under-sink modern cabinet Geberit is the perfect choice. 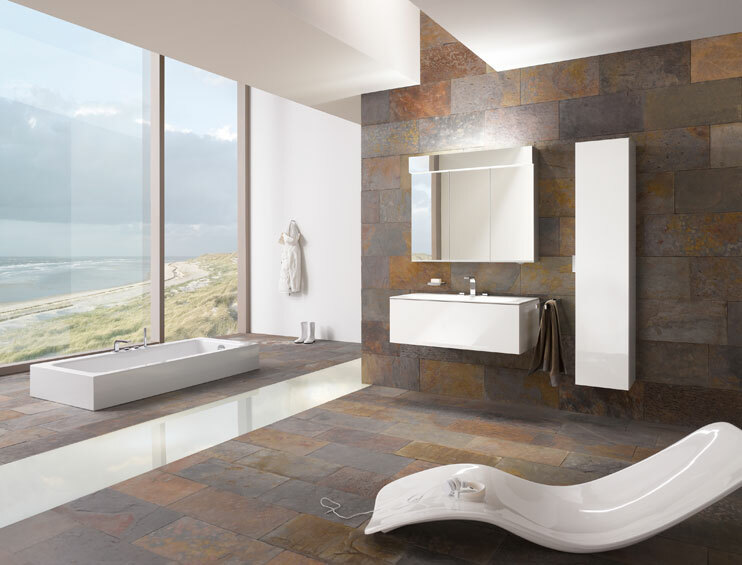 Bathroom cabinets from Geberit blend function and style and with the range of their finishes can suit any bathroom. 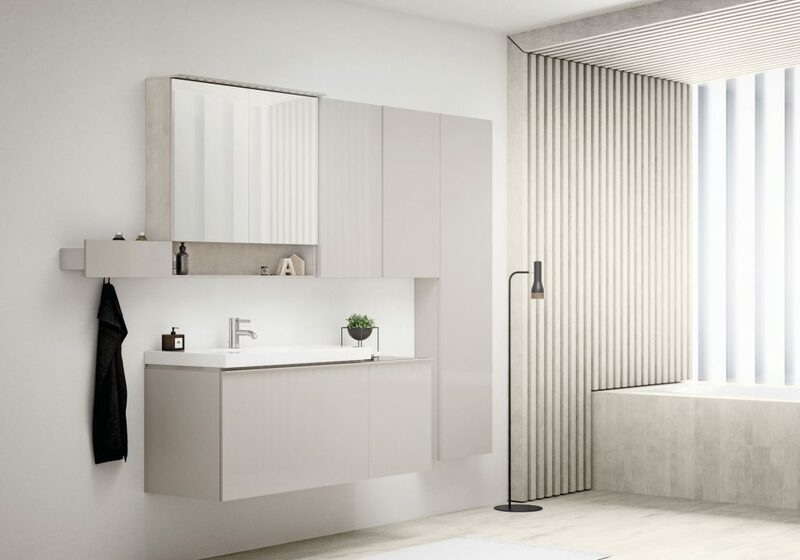 To discuss your modern bathroom design contact our team of experts or visit our bathroom showroom where you can get direct advice from our experienced designers. Classic bathroom designs involve more toned-down colour palette, they also often involve more fluid shapes and embellished silhouettes. Selecting bathroom cabinets to correspond with such design allows for creation of timeless luxury. Langley interiors creates cabinets with inlaid wood or with elaborate patterns and designs. The cabinets can also be created using exotic wood veneers that can add to the luxury feel of traditional bathroom interior. Blending the luxury design with exotic wood is a really good way of creating interesting focal points while maintaining the unity of design. 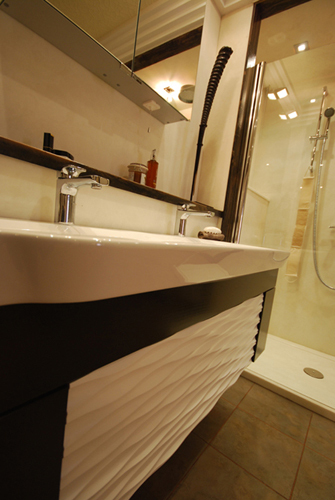 Bathroom furniture is exposed to extensive humidity and therefore selecting the right materials for it is crucial. Select a product that can not only withstand the wear, but also look brilliantly as time goes by. 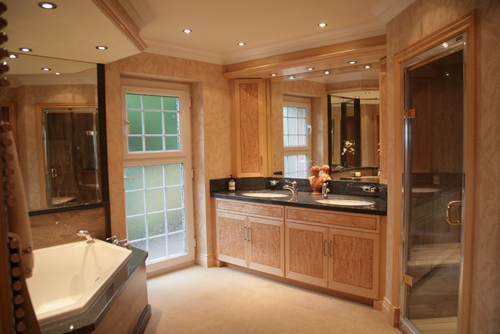 Most bathroom cabinets are created with acrylic, laminates, real wood veneers or aluminium. Each of those materials has its own properties giving it advantages and disadvantages in bathroom environments. Acrylic bathroom furniture allows for really inexpensive solutions. The furniture can be brightly coloured and have many shapes. However acrylic is a plastic and you should take that into consideration when selecting a cabinet. They are however fully water-resistant and will not be damaged or affected by humidity. Acrylic is mostly used for freestanding bathroom cabinets or small shelving units. Laminated bathroom cabinets are a great solution. Due to the lamination they are mostly water resistant and maintain their shape despite humid air. However, lamination can also have weak spots on corners or edges and if that is the case the furniture can absorb water from the air. That can make them look unappealing. On the other hand, laminates offer a large selection of colours and finishes allowing for a freedom of design. Real wood veneers allow for the creation of luxury finish in a traditional style. Similarly to laminated real wood veneers are humidity resistant, but they can have weak spots like corners or edges. Unlike laminates, real wood veneer are created using fully natural material offering a wider selection of exotic and rare wood. Both real wood veneers and laminates are mostly used for under sink or wall hung cabinets. 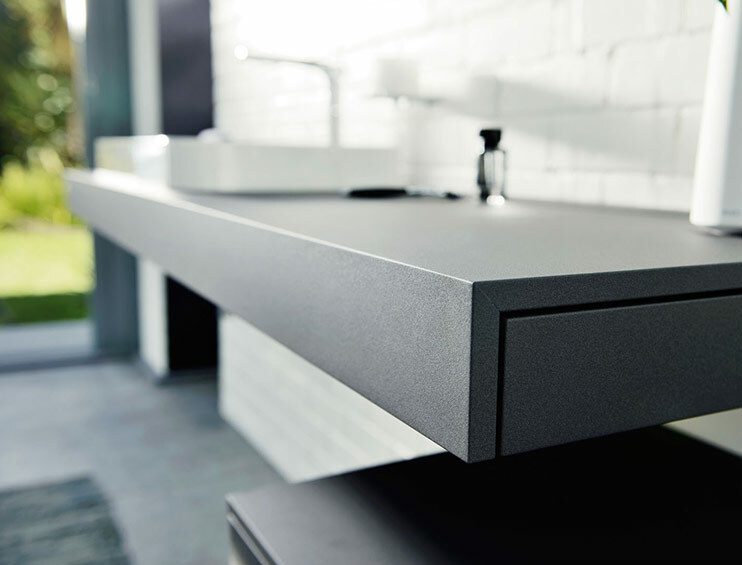 Aluminium is a great material to use in your bathroom. Cabinets made out of aluminium are fully humid resistant, they do not corrode and are hard wearing. One main negative of aluminium is that you have to take care when cleaning them. 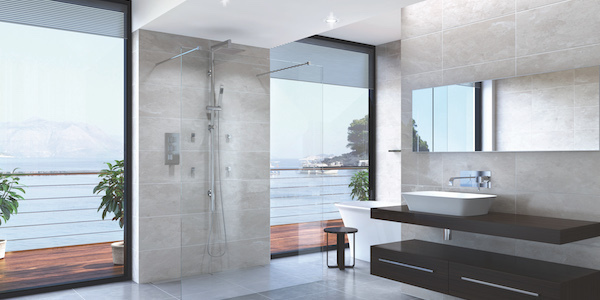 However, when cleaned with non-abrasive cleaning solutions aluminium maintains its appearance for long years accounting for amazing bathroom cabinets. 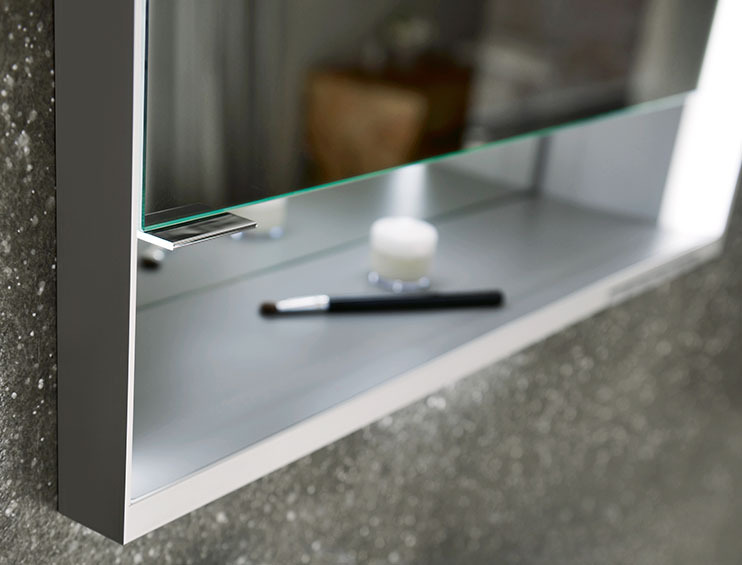 Keuco bathroom cabinets use aluminium for their carcass with mirrors on the from creating a stunning finish. When refurbishing your bathroom or selecting your bathroom cabinets find the product that suits your needs the most. 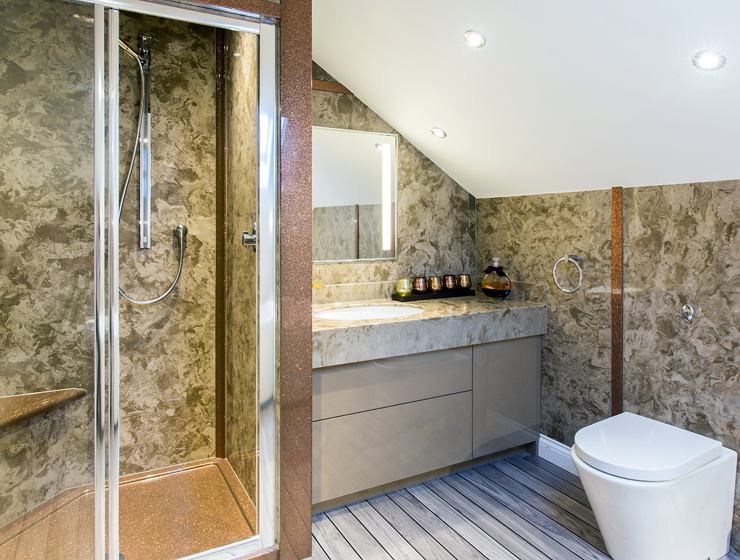 Consider all aspects of the design of your bathroom including the style and the way you intend to use it . One and the most important thing to remember is that your bathroom is a part of your daily routine, so you should invest into making it a quality feature of your home.